December 17, 2015 - IK Multimedia is proud to announce that Miroslav Philharmonik™ 2 for Mac and PC is now shipping. Made in conjunction with master musician, jazz legend and sampling luminary Miroslav Vitous, Miroslav Philharmonik 2 is an emotionally charged orchestral workstation that takes the groundbreaking virtual instrument used on countless classical productions, film scores and pop hits to new levels of expressiveness and realism. It provides over 2,700 instruments with over 55 GB of samples with beautiful new sounds recorded in stunning high-resolution at the prestigious Czech National Symphony Orchestra Studios in Prague. Miroslav Philharmonik 2's expressive collection of sounds includes soaring strings, animated woodwinds and majestic brass as well as precision tuned percussion including a majestic 9' concert grand piano, an elegant harpsichord, stately orchestral chimes, a kinetic concert marimba, a warm and rich vibraphone and a lively glockenspiel. The mallet instruments are all provided with perfectly placed mono and Blumlein stereo miking allowing users to place the instruments into the perfect spatial context. These instruments have been sampled to convey all the emotion and humanity of the musician behind each note. All of the samples from the original Miroslav Philharmonik are included, optimized with articulation switching and the latest effects. Instruments in the collection blend perfectly as only the best modern symphony orchestras do. The instruments are expertly recorded free of excessive ambience so musicians can place them into the exact recording environment using Miroslav Philharmonik 2's cutting edge ConvoRoom and classic algorithmic reverb effects. The string, brass and woodwind instruments all include multiple articulations performed by master musicians, and they can be played using articulation switching or as separate instruments. This lets musicians instantly switch between flowing legatos, animated pizzicatos, aggressive spiccatos, elegant staccatos, triumphant fortissimos and more. The mallet instruments have been recorded using different types of mallets giving players more tonal flexibility. The piano's soundboard has been modeled to facilitate the perfect interaction between the player and the amazingly complex mechanism of the acoustic piano providing stunning acoustic realism. Miroslav Philharmonik 2 sounds like the best audiophile symphonic recordings because of its more than 30 professional-grade studio plug-in effects from IK Multimedia's acclaimed SampleTank® 3. These fully editable effects encompass the full range of the sonic spectrum and include equalizers, dynamic processors, filters, modulation effects, reverbs, delays and more. It also includes 4 of the best analog-modeled mastering effects from IK's acclaimed T-RackS mixing and mastering suite and an updated convolution reverb effect. 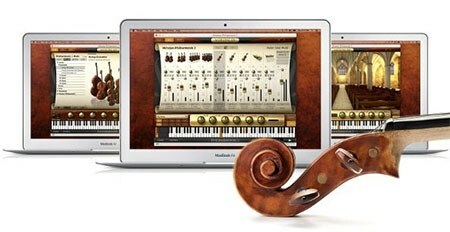 Miroslav Philharmonik 2 uses the same Play, Mix and Edit pages as SampleTank 3. These pages give musicians an extreme amount of creative flexibility and control. It includes an easy-to-use instrument browser, a 16-part DAW-style mixer and a powerful synthesizer section with 3 sample playback engines and 10 high-quality filters. Miroslav Philharmonik 2 can be used on its own as a standalone or plug-in instrument or as an additional instrument collection inside of the SampleTank 3 sound and groove workstation. Miroslav Philharmonik 2 is available now as a direct digital download from the IK store and from select music retailers worldwide, or as a boxed version with a USB flash drive. Current owners of Miroslav Philharmonik can upgrade for as low as $/€199.99* via download or $/€229.99 for a boxed copy. Users with qualifying IK software can crossgrade for as low as $/€299.99 via direct download or $/€329.99 for a boxed copy. New users can get Miroslav Philharmonik 2 for as low as $/€399.99 via direct download or $/€429.99 for a boxed copy. At the end of the introductory period, Miroslav Philharmonik 2 will have a retail price at $/€499.99 ($529.99 for the boxed version). Upgrade and crossgrade pricing will also be available.